Jackie Softly is the mother of an adult son with Down syndrome, and has a young granddaughter with Autism. 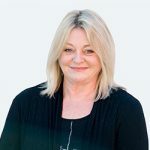 She has worked in the disability sector for over 30 years, as an independent disability standards monitor, and as a consultant to government and disability sector organisations. Jackie Softly, Tuesday, 4th July 2017 - If the National Disability Insurance Scheme is to devolve its planning role to other organisations, it would make sense to utilise peer support people and organisations’ expertise rather than expose scheme participants to the inherent risks of planning by providers, writes Jackie Softly, disability advocate and the mother of an adult son with Down syndrome.